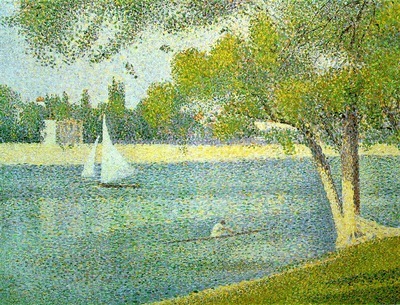 Georges Seurat (December 2, 1859 - March 29, 1891) was a French painter and draftsman. His large work Sunday Afternoon on the Island of La Grande Jatte, his most famous painting, altered the direction of modern art by initiating Neo-impressionism, and is one of the icons of 19th century painting. I have one of these (probably a copy) and it is not at all for me. Going to get rid of it.